This is Ray's petition against what he calls the unfair '2Tier' Irish car tax law. This is a table of the current motor tax rates for pre- and post-2008 vehicles. 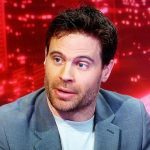 Dr Julien Mercille is a lecturer in the Department of Geography in University College Dublin, and a frequent columnist and media contributor.